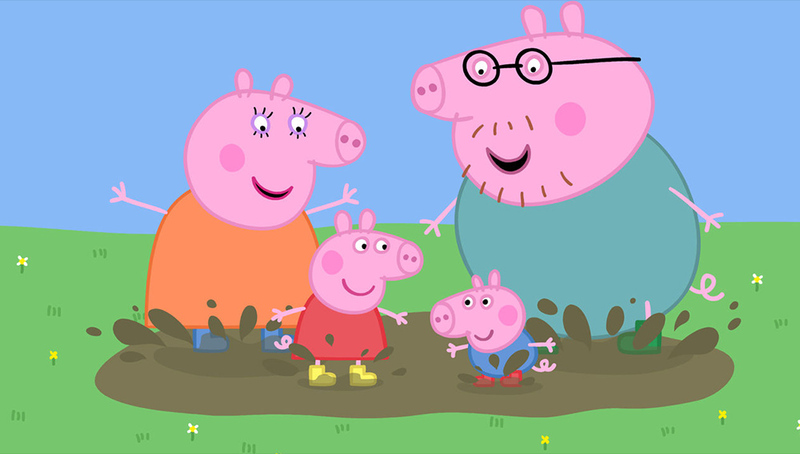 Like sleepless nights and food-stained clothes, Peppa Pig is an unavoidable part of modern parenting. Since the show started in 2004, the world’s most famous pig has spread faster than swine flu and infected family homes around the world with no known cure. Kids just can’t get enough of the little porker and parents are powerless to resist. 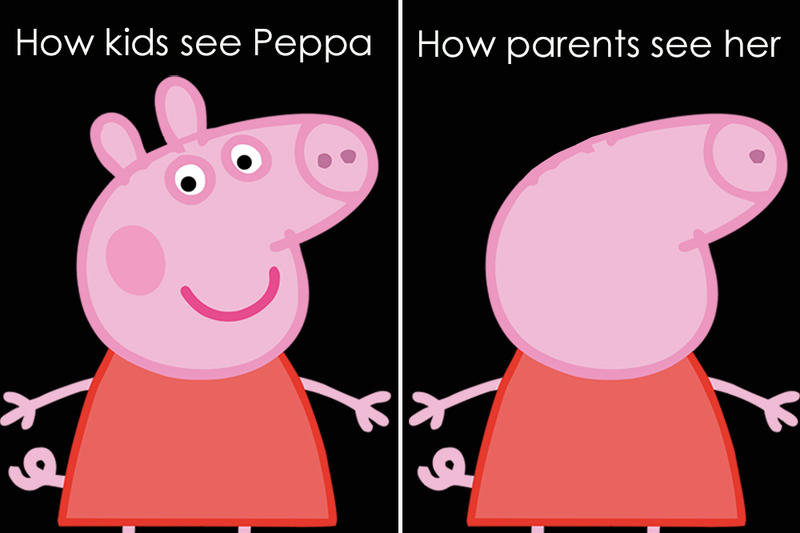 Here are 13 hilarious (and somewhat disturbing) warning signs your family has reached peak Peppa. We know your pain. Snort! Have you reached peak pig? 1. You can never look at a ‘muddy puddle’ the same way. Or forgive Peppa for all the extra laundry you now have to do. 2. You feel guilty anytime you eat bacon around the kids. Well, almost. 3. Snorting is a perfectly acceptable way for your family to communicate. 4. You can identify Peppa’s theme song within three seconds – from anywhere within the house. 5. You know how hard it is to draw Peppa without her looking like a hair-dryer or a pointy part of the male anatomy. Don’t try it in public! 7. You totally relate to Miss Rabbit because she’s always working and has only ever had one day off in her life. 8. You now have favourite episodes and have discussed your Top 3 with fellow parents. 9. You know all the words to the ‘Bing Bong Song’ – and have even checked if it’s on Spotify (it’s not). Whose favourite song is the Bing Bong Song? Sing along with your little one! 10. Secretly you’re jealous of Pedro Pony because he always sleeps in. 11. You’re genuinely excited when an episode you haven’t seen (100 times) comes on. 12. More than anything, you wish the episodes were longer than five minutes so you could actually finish your cuppa, have a shower in peace or have a micro-sleep. 13. The ultimate warning sign – your kids now have English accents. Have we missed any? Let us know on our Facebook page.